"We hired Christine from The Extreme Consultant for various projects and were thrilled at both her versatility and depth of knowledge. Additionally, Christine is extremely responsive to our needs which allowed our organization to complete our projects in a timely fashion. We love her!" "HELP! is my usual cry to Christine Janus of The Extreme Consultant and she does just that, she fixes it. I don't have 'state of the art' equipment but Christine keeps our company up and running with minimal down time for our computers. Her company is reliable and dependable." Barbara Sullivan - CEO, Sullivan International, Inc.
"We have used the services of The Extreme Consultant for over 2 years and Christine and her team have provided a consistent, high quality service. Great response times, solid technical knowledge and the ability to solve problems and issues quickly and professionally are the hallmarks of The Extreme Consultant's service. 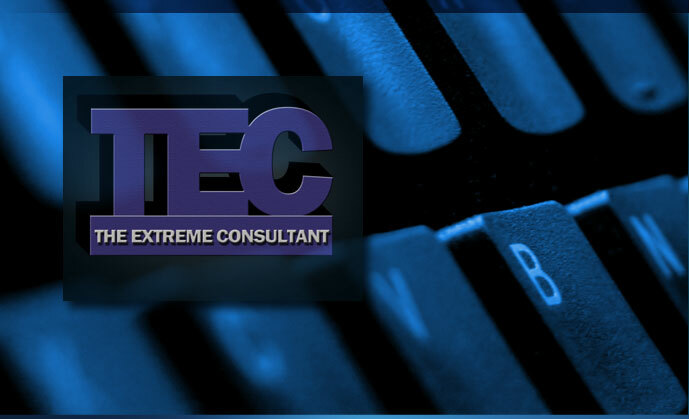 I would personally recommend The Extreme Consultant to any company looking for a great service." Paul Lyons - Principal, Atlas Intelligence, Inc.
"Prompt, knowledgeable, courteous are adjectives that best describe The Extreme Consultant consulting firm. No problem has been too big or too small. Every outcome positive. In the 10 plus years I've known Christine my computer knowledge has grown some but no 'user error' has been so ridiculous that she's laughed in my face. Is that kindness or what?" "The Extreme Consultant hits a home run every time with service and reliability!" Find out how your organization can benefit by a partnership with The Extreme Consultant. Call today for your free consultation (562) 438-1587. Follow our page on LinkedIn or Like our page on Facebook to be eligible for special discounts. If you are happy with our service, please give us a review on Angie's List by clicking the link below. Make a payment for services via PayPal's secure transaction gateway. Credit Cards are accepted. See what some of our satisfied clients have to say about The Extreme Consultant.